A little encouragement from a fellow Jasper led Courtney Slack ’14 to become an interfaith leader in the heart of downtown Manhattan. This fall, she was one of only 14 applicants chosen to make religion a bridge and not a barrier as part of the prestigious Lipper Internship Program at the Museum of Jewish Heritage (MJH) — A Living Memorial to the Holocaust in Lower Manhattan. Entering her senior year, Slack, a major in history with a minor in urban affairs and education, felt unsure about her professional goals. 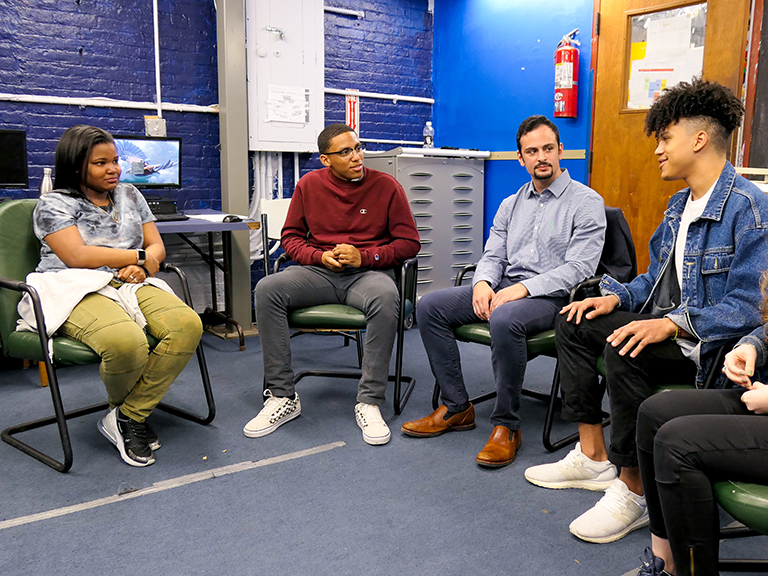 The internship with MJH, teaching 20th century Jewish history and the Holocaust to New York City youth, proved to be a chance to test a variety of skills and environments toward a potential career path. Slack learned about the internship during her freshman year, thanks in part to a member of Manhattan’s alumni network. She met Michael Gentils ’10, scheduling coordinator at MJH, while taking History 357: Nazi Germany, with Jeff Horn, Ph.D., professor and chair of the history department. As an invited speaker, Gentils mentioned the unique opportunity. Throughout the summer, Slack attended a nine-day training program in downtown Manhattan. Put up at the Doubletree Hilton, all expenses paid, she received a crash course on how to give tours to middle and high school students by studying the museum’s exhibitions, hearing testimony from Holocaust survivors and attending seminars led by MJH scholars. After successfully completing the educational intensive, she was prepared to bring groups of middle and high school students to the museum, where lessons are complemented by tours of the core exhibition. She and a fellow intern later returned to the schools to continue the dialog by encouraging students to share reactions and insights. Navigating a hectic senior schedule while coordinating school visits and museum tours has certainly been a challenge, however she says the biggest challenge was actually rote memorization. Although she eventually wants to teach history, she isn’t quite ready to stop exploring other fields. In fact, it was after leading a Lasallian Outreach Volunteer Experience (L.O.V.E.) trip to San Francisco in spring 2012 that she realized her knack for fundraising. She is applying for spring internships in the hopes of trying her hand at development for a nonprofit company. “When I graduate I want to try and save the world in a small way,” she says. 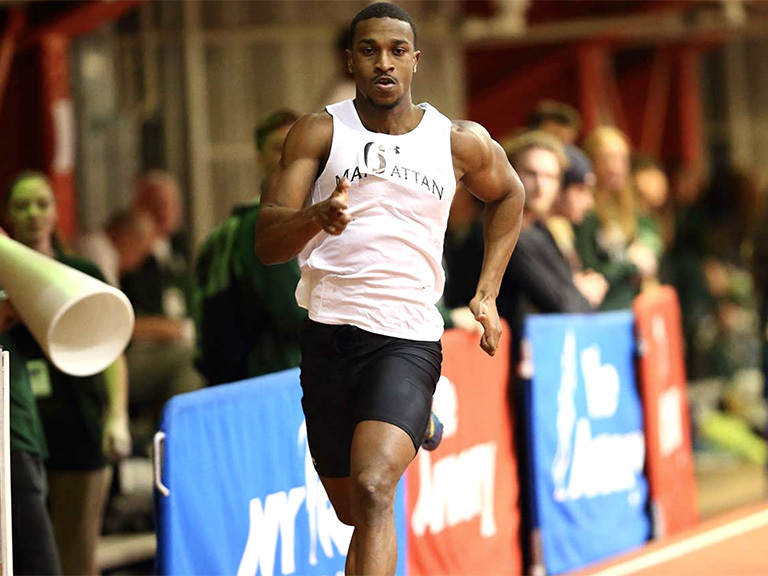 Discover more ways Manhattan College students and alumni identify their interests, strengthen their skills, and explore opportunities to achieve personal and professional goals.